Arnold was employed as a management consultant at KPMG prior to joining Invicta in January 1990 as financial manager. He was appointed financial director of Invicta in August 1991 and CEO in April 2000. 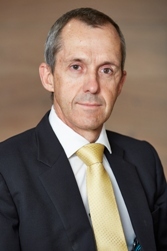 Arnold acted as deputy Chairman from May 2015 to January 2017 during the tenure of Charles Walters as CEO, and returned to the position of CEO in February 2017. 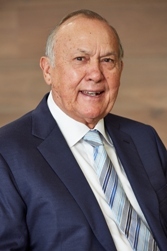 Dr CH Wiese was appointed as a non-executive director of Invicta in October 1997 and served as Chairman from October 1997 to April 2000. He was re-appointed as non-executive Chairman of Invicta in January 2006. 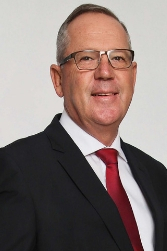 He is currently also the Chairman of Tradehold Limited and Shoprite Holdings Limited and steers the board through his wealth of experience in business. Dr Wiese, as a large shareholder of Invicta, further contributes to ensuring that management’s interests are aligned with that of shareholders. 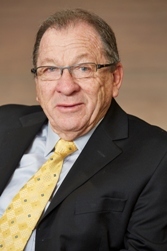 David joined Trade and Industry Acceptance Corporation Limited in 1971 where he served as a director from 1980 to 1984. From 1989 to 2000 he was managing director of Stenham Proprietary Limited. In 1996 David was appointed as non-executive director, and served as lead independent director from 1 April 2014. David was a non-executive director and Chairman of Bearing Man Limited from 2001 to 2006, when that company was de-listed from the JSE. Jacob was appointed as non-executive director of Invicta in July 2010. Jacob obtained his BA degree, after which he worked at Lourensford Wine Estate, assisting in initiating events partnerships. Jacob subsequently completed his master’s degree in International Economics and Management as a participant in a MBA program. Jacob returned to Lourensford for a brief period after which he graduated with an LLB degree in 2008. During 2009, he completed his pupilage at the Cape Bar and was admitted as an advocate of the High Court. Lance is a director and shareholder of the SMG Group (BMW). Lance studied commerce at the University of Cape Town and has been involved in the hospitality and motor trade industries for the past 15 years. Lance represented South Africa as a rugby player in the national team in 1994. Lance was appointed as an alternate director to Reg Sherrell on 27 May 2009 and was nominated as a non-executive director on 29 July 2010, upon the retirement of Reg Sherrell. 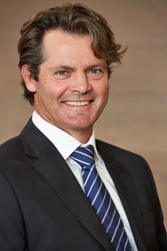 Craig previously held positions with Sappi and Group Five, before joining Invicta as financial manager in 1998. He was appointed as director of CSE Equipment Company in 1999, as Invicta’s company secretary in 2002, and as an executive director of Invicta in June 2007. Craig resigned as company secretary in January 2014 when he was appointed as financial and commercial director. From 1 July 2018 Craig will hand the responsibilities of financial director over to Nazlee Rajmohamed, but will remain on the board as commercial director. Tony joined JI Case in 1982 and was appointed as branch manager in 1986. He joined CSE Equipment Company in 1989 and was promoted to divisional managing director in 1993. Tony was appointed as managing director of CEG in 1998, a position which he still holds. He was appointed as an alternate director of Invicta in September 2006, and as an executive director in June 2007. 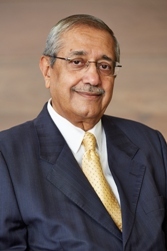 Rashid was appointed as an independent non-executive director of Invicta on 30 July 2013. 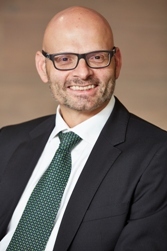 He has held various senior executive positions with IBM in Africa, Europe, the Middle East and South East Asia, including also Lenovo in Africa. Rashid has over 38 years of experience in the Information Technology sector and was chairman of the board and member of the audit committee of Mango Airlines (SOC) Limited. He resigned from the Mango board during the year having served 10 years in line with the Mango memorandum of incorporation. Rashid is currently chairman of Fastjet PLC, a listed company on the London Stock Exchange AIM Section, and also serves on the audit and risk committee of Fastjet. Byron was appointed as CEO of ARB Holdings (JSE listed) in February 2009, tasked with driving the Group’s growth strategy. He was previously the group CEO of Amalgamated Appliance Holdings Limited and a founding shareholder and director of Bridge Capital Group Limited. 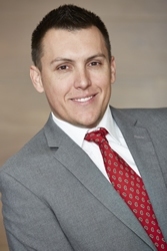 Byron has 14 years’ financial services and advisory experience with Deloitte & Touche and Bridge Capital. 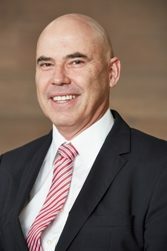 Byron was appointed as CEO of BMG, succeeding Charles Walters effective 1 November 2014, from which date he was also appointed as an executive director on the Invicta board. 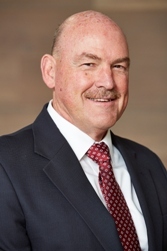 Effective 31 October 2016, Byron tendered his resignation as CEO of BMG (now the Engineering Solutions Group) and assumed the role of non-executive director of Invicta effective 1 November 2016. NTC 5 and various diplomas. Gavin has over 30 years’ experience in the engineering sector, gained through various managerial roles as well as running his own business, Oscillating Systems Technology, which was acquired by Invicta in 2005. Gavin was appointed as a divisional director of Bearing Man Group (“BMG”) in 2008, forming part of their mergers and acquisitions team. Gavin also played a lead role in BMG’s Simplify for Success (“S4S”) strategy. Gavin was appointed as the managing director of BMG in September 2016, and as an executive director of Invicta in September 2017. Nazlee is a chartered accountant, holding a bachelor of commerce degree and a post-graduate diploma in accountancy. She has over 24 years’ experience, having held senior positions within the TOTAL Société Anonyme Group in South Africa, Nigeria and France. She acquired knowledge and experience of International Financial Reporting Standards and Sarbanes Oxley whilst with the Total Group, which is the listed on the Paris and New York Exchanges. She has both international experience and significant exposure to business in Africa. She joined Invicta as the Group Financial Director on 01 July 2018 from MTN Group Limited where she served as the Executive Group Finance Operations.